We specialize in custom glass murals and swimming pools. We also offer glass field tile at wholesale pricing. 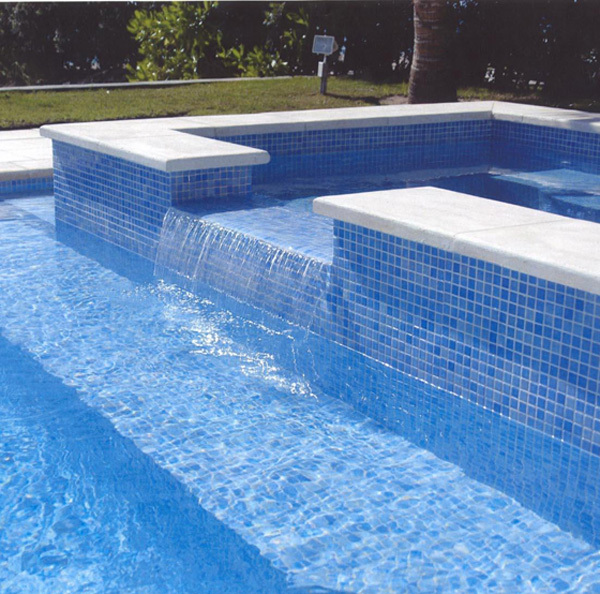 We are known for creating highly custom projects with outstanding workmanship. ...a thousand choices for your senses. Glass can make your installation snap! 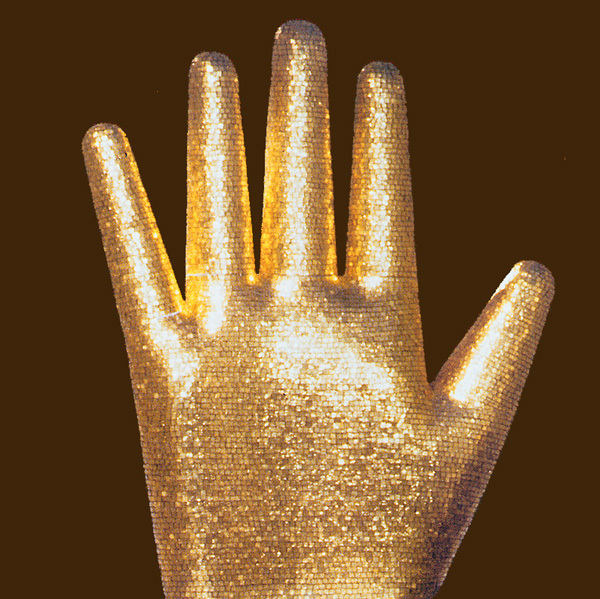 by color, shading, blending, size, iridescence, finish, shape, pattern or technique. Glass catches the light and the eye. Colors pop as they reflect the light and send rainbows into your atmosphere. Glass is just that. An exciting statement for the mind! Bold, mellow or elegant, the look can be yours with glass. Glass offers something for every imagination. Agape Tile is proud to present the finest glass mosaic tile. We are the U.S. 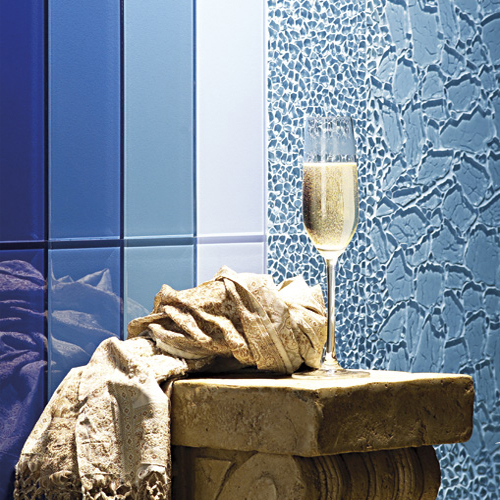 Distributor for Kolorines, Mosai & Co. Our other lines of glass include Bisazza, Sicis, Vidrepur, Hakatai, AIM and Lightstreams. Our prices are wholesale to the public. We also offer both showroom and low wholesale pricing to those in the trade. 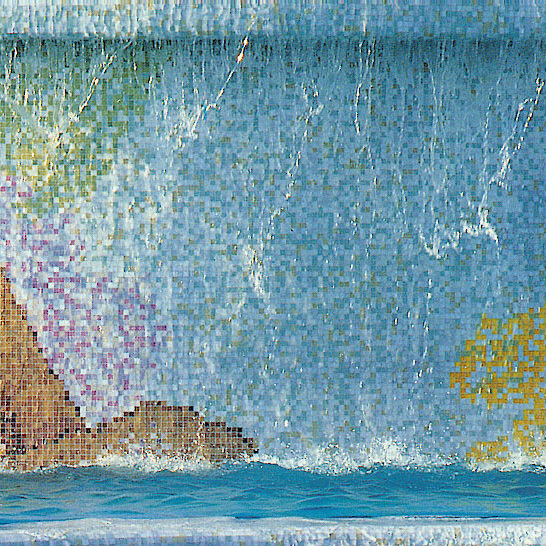 We specialize in custom hand cut and uncut glass mosaic murals for interior and exterior residential and commercial installations, including swimming pools and spas. 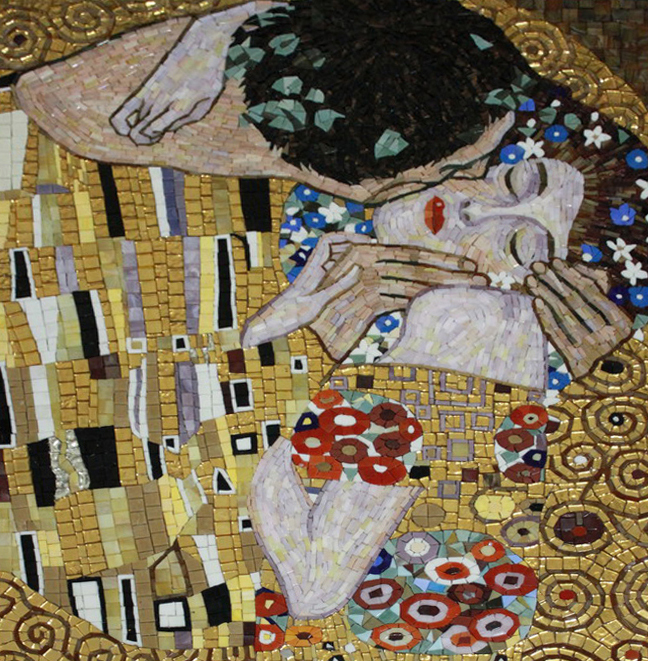 Murals and medallions for walls and flooring, backsplashes, showers and other applications may be ordered in 10mm - 15mm - 20mm or 25mm uncut glass mosaics, mixed technique or hand cut byzantine mosaic from simple to complex. Our Fine Art Department is at your disposal. Finished glass installations may be viewed in the Projects section of this website under Glass and also Pools & Spas. Murals may be created using our custom artwork for your project, one of our standard designs, uncopyrighted artwork, Old World Masterpiece Reproduction or an artwork by one of our Famous Artists. Art may be customized for both size and color. 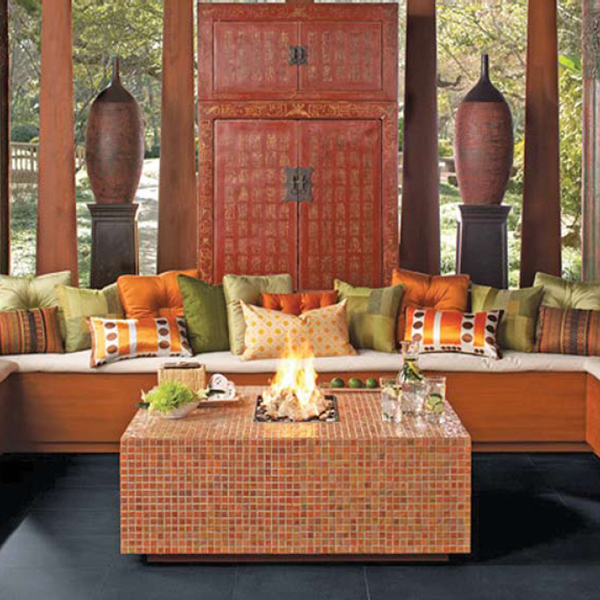 Custom color choices are, typically, no upcharge, unless you include fire color glass such as red, orange and yellow. Our award-winning projects have been featured on HGTV and widely publicized in numerous magazines. A few of our prestigious customers include the Hilton, YMCA of America, Radisson, Holiday Inn, Westin, Comfort Inn, Robb and Stucky, Ryan Hughes Design Build, Ernest Reason General Contracting, Grand Timber Lodge CO and City Bites. For a short list of our customers and our published list, please visit our Expertise page. 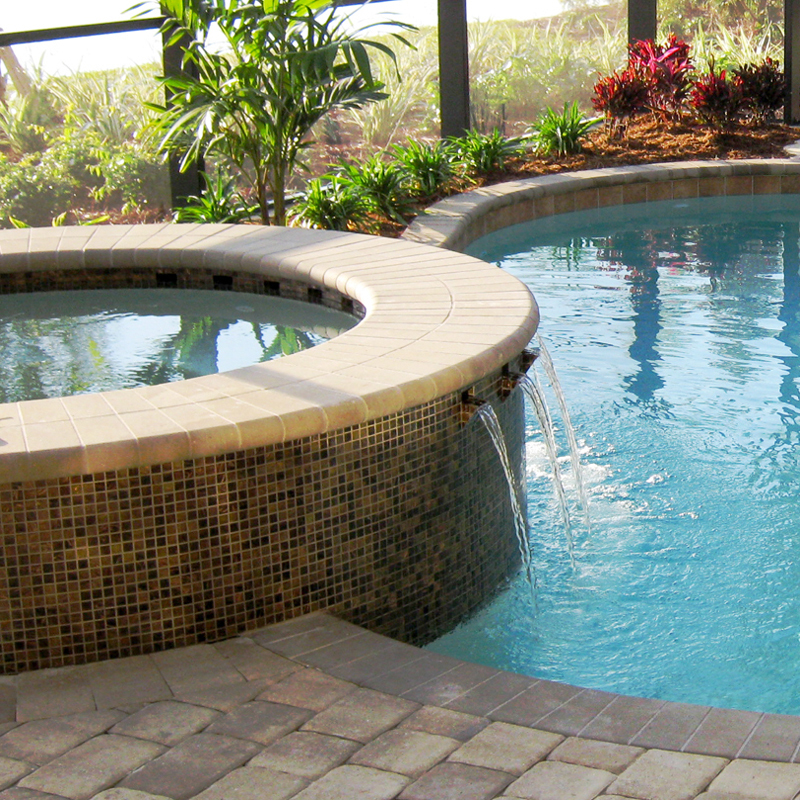 We are pleased to say that we handle projects from one square foot to an entire building or all glass swimming pool. Our manufacturing time for custom work is very short: typically one and one half weeks for small projects to three to four weeks for larger murals, sans shipping time. Of course, we recommend that you order as far in advance as possible. For all large commercial glass murals or all tile pools with artwork, please call us well ahead of your desired installation date. You may view one of our recent all glass projects via VIDEO on our main page. This 2500 square foot glass pool featuring over 1500 square feet of custom hand cut glass mosaic artwork. All artwork created for this project was created by Agape Tile LLC. 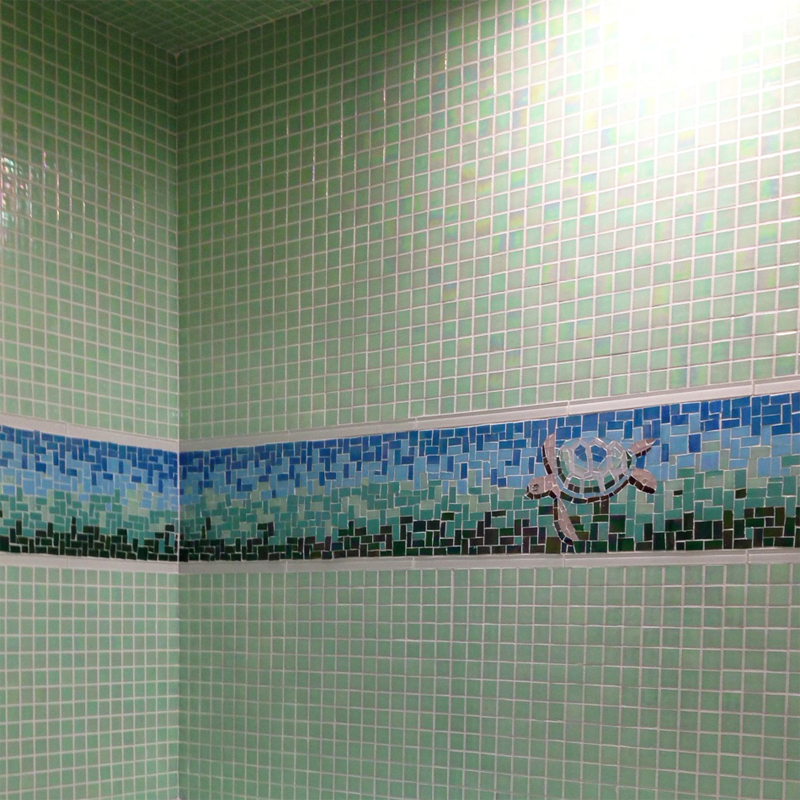 Mural creation management for this project was handled by Agape Tile. In depth photographs of the artwork and progress on this project are found on www.agapepoolsandspas.com All Tile Pool III. The Principals of Agape Tile have been involved in creating glass projects for over 25 years, and have been responsible for the artistic design and creation of glass projects within the continental United States, Hawaii, Dubai and the Caribbean. Our expertise makes us uniquely qualified to provide highly specialized advice and artistic design services. We put our twenty plus years of experience in the field of hard surface mural creation, design and installation to work for our clients.